Find it fast�locate items easily when they're clearly labeled by this compact, portable thermal printer. Four-digit, one-line LCD display. Built-in font with six character sizes and 207 characters/symbols. Create extra impact with shade, underline and box effects. Memory holds one block up to 63 characters. 160 dpi resolution. Easy-to-use QWERTY keyboard makes creating labels simple and fast. Auto power off. Requires six AA batteries (SOLD SEPARATELY). Includes 9mm black-on-clear tape. Machine Width: 6 5/8"; Machine Depth: 4 1/2"; Machine Height: 1 1/16"; Power Source(s): 6 AA Batteries (SOLD SEPARATELY). 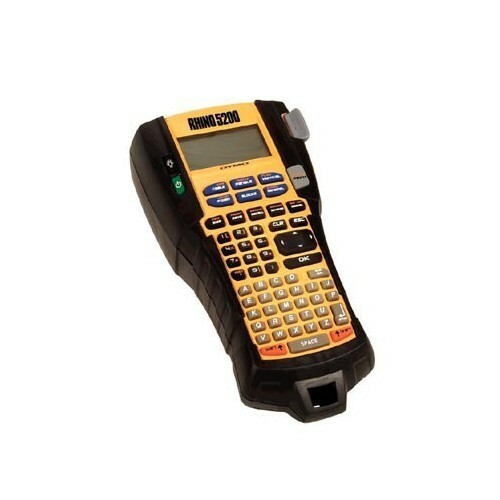 P-Touch Handheld Labeler 24mm SHRINK TUBE compatible using HSe series tapes or TZ tapes USB/WiFi Auto Cutter Li-ion Batttery & Case This item cannot be shipped to APO/FPO addresses. Please accept our apologies. Just print, peel and post! 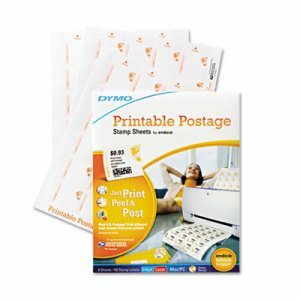 Printable postage stamp sheets are an easy and efficient solution to meet your mailing needs. Perforations allow the sheets to fold and detach, making it easy to transport. Print First-Class Mail�, Priority Mail� Flat Rate Envelopes and Boxes. 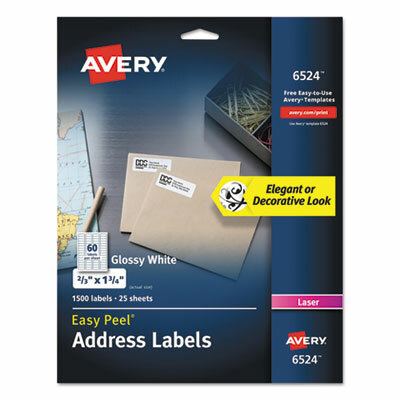 Eight 8-1/2 x 11 sheets of USPS�-approved stamp ready labels. No contracts or monthly fees. Use on PC or Mac� with internet connection and standard inkjet or laser printer. Label Size - text: 8 1/2 x 11; Label Color(s): White; Border Color(s): Red; Sheet (W x L): 8 1/2 x 11. Shipping is easy with the high-output LabelWriter� 4XL direct thermal label printer. 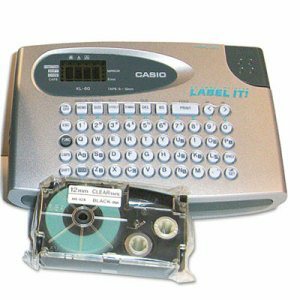 This label maker prints large formats up to 4", including standard postage (starter roll included) and many other sizes for the home and office. With a rate of 53 labels per minute, it's designed for high volume. Direct thermal label makers don't require ink or toner and produce a clean matte finish, and the 300 dpi resolution is perfect for both text and barcodes. This label printer is compatible with PC and Mac and allows you to print USPS�-approved postage right from your desk. Machine Width: 7 3/10"; Machine Depth: 7 4/5"; Machine Height: 5 1/2"; Power Source(s): AC Adapter (Included). 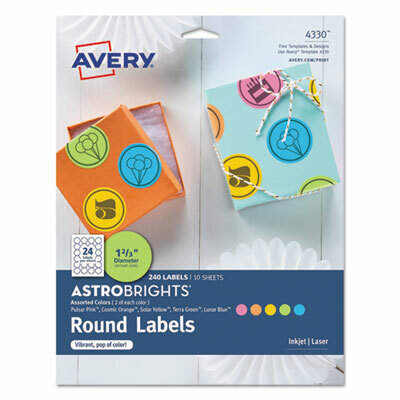 Vivid Astrobrights� colors offer a vibrant pop to arts and crafts, party decorations, branding and pricing. Bend the unique Easy Peel� label sheet to expose the Pop-Up Edge� for fast peeling. Easy to customize with free templates and designs using Avery Design & Print. Permanent adhesive is guaranteed to stick and stay. 8 1/2� x 11� sheets for laser and inkjet printers. 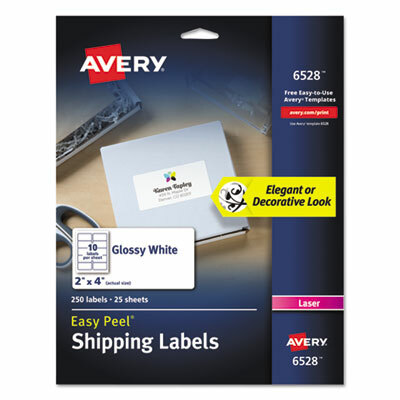 Label Size - text: 2 x 2 5/8; Label Color(s): Assorted; Machine Compatibility: Inkjet Printers; Laser Printers; Catalog Description: Arts & Crafts. Vivid Astrobrights� colors offer a vibrant pop to arts and crafts, party decorations, branding and pricing. Bend the unique Easy Peel� label sheet to expose the Pop-Up Edge� for fast peeling. Easy to customize with free templates and designs using Avery Design & Print. Permanent adhesive is guaranteed to stick and stay. 8 1/2� x 11� sheets for laser and inkjet printers. Label Size - text: 1 2/3" dia. ; Label Color(s): Assorted; Machine Compatibility: Inkjet Printers; Laser Printers; Catalog Description: Arts & Crafts. Labels are ideal for a premium looking branding or promotional labels. Vivid colors and sharp text can extend right to the edge of the labels. Easy Peel� labels with the Pop-up Edge� feature let you peel and stick labels in a snap - just bend the sheet, peel the label and fold the sheet back to a flat position. Permanent labels are designed to stick and stay. Easy to customize with free templates and designs using Avery� Design & Print. Sheets for laser and inkjet printers. Label Size - text: 2" dia. ; Label Color(s): White; Machine Compatibility: Inkjet Printers; Laser Printers; Catalog Description: Product & Container Labeling. 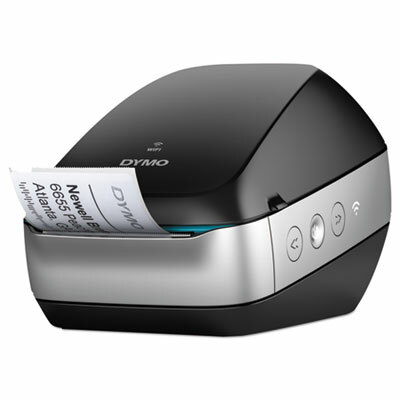 DYMO LabelWriter 450 Turbo print 60+ lable layouts at speeds up to 71 lables per minute. Plus Print USPS approved DYMO Stamps postage. 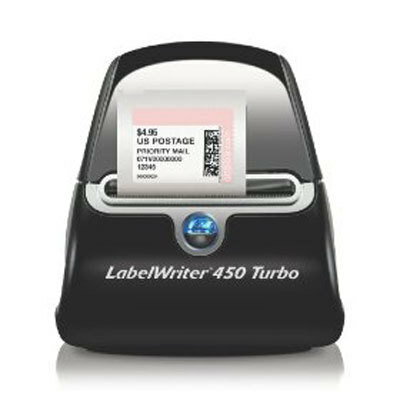 package include the labelwriter 450 Turbo software USB cable cleaning card AC Power adapter USer guide Quick start guide starter rolls of labels This item cannot be shipped to APO/FPO addresses. Please accept our apologies. A glossy finish provides a premium, custom printed look. Perfect for special occasions and events. Bend the unique Easy Peel� label sheet to expose the Pop-Up Edge� for fast peeling. Easy to customize with free templates and designs from Avery� Design & Print. Permanent adhesive is guaranteed to stick and stay. Sheets are compatible with laser printers. Label Size - text: 1 x 2 5/8; Label Color(s): White; Machine Compatibility: Laser Printers; Catalog Description: Address Labels. Use to indicate when file was created, should be destroyed, or moved to inactive storage. Wraparound color bar for visibility from both sides of the file folder. 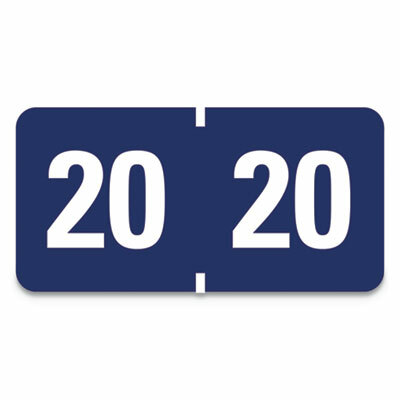 Label Size - text: 1 1/2 x 3/4; Label Color(s): Dark Blue; Printed Text: 20; Printed Text Color(s): White. 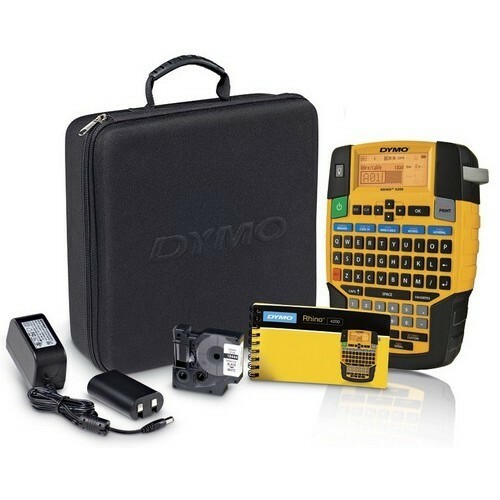 DYMO Rhino 4200 Series Portable Hand Held Thermal Transfer Labeling Kit offers cost effective fast and durable label solutions for all of your labeling needs. Multi-Label view, serialization, barcoding and Label storage. 1/4" through 3/4" Flexible Nylon Vinyl and Heat Shrink labels for wire marking applications. Data/Graphics Import: No This item does not ship to APO/FPO addresses. Bring cable-free convenience to labeling. Print labels directly from Macs, PCs, smartphones and tablets using the built-in Wi-Fi�, or via network for easy sharing with others. Label Maker Type: Printer; Prints Barcodes: Yes; Prints Postage: Yes; Power Source(s): AC Adapter. A glossy finish provides a premium, custom printed look. Perfect for special occasions and events. Bend the unique Easy Peel� label sheet to expose the Pop-Up Edge� for fast peeling. Easy to customize with free templates and designs from Avery� Design & Print. Permanent adhesive is guaranteed to stick and stay. Sheets are compatible with laser printers. 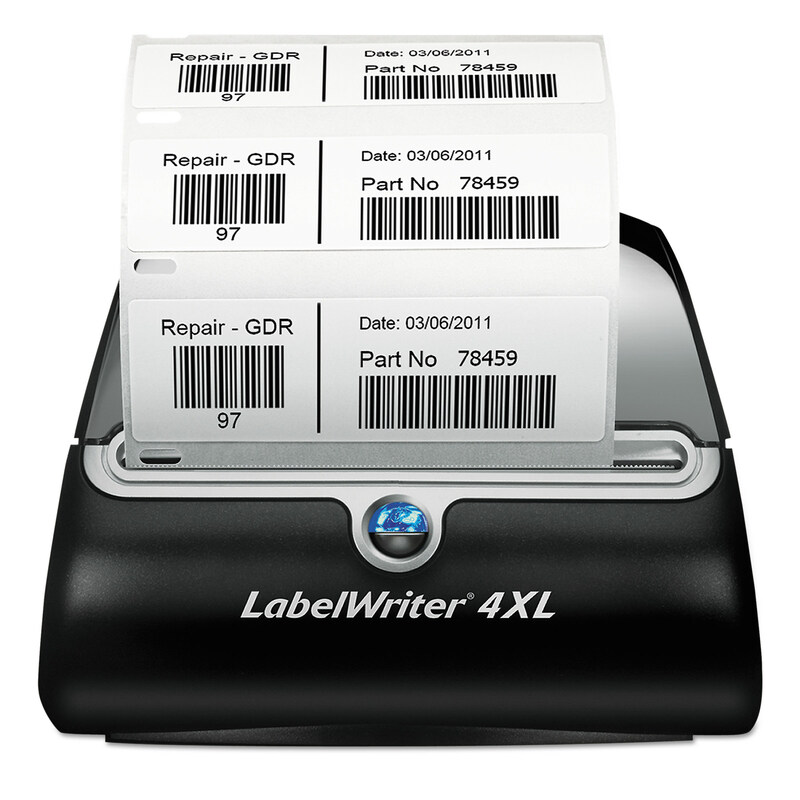 Label Size - text: 2 x 4; Label Color(s): White; Machine Compatibility: Laser Printers; Catalog Description: Shipping. 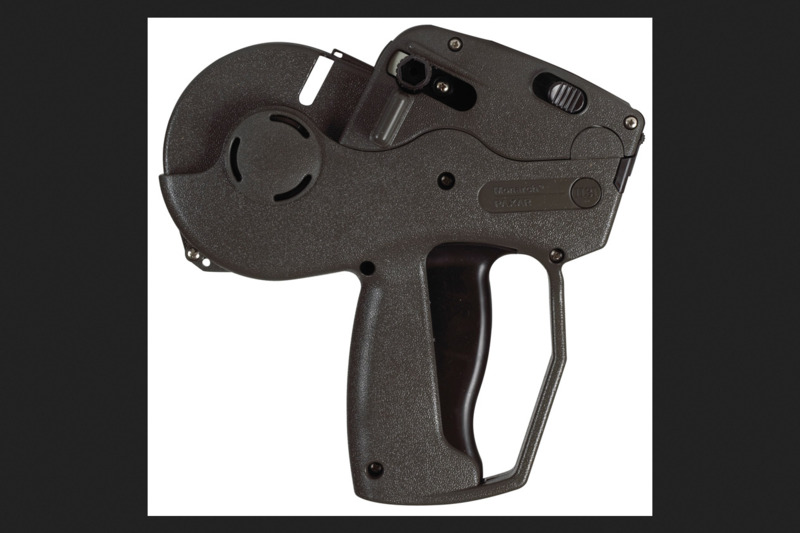 Portable Hand Held Thermal Transfer Labeling Systems 5200 Series offers cost effective fast and durable label solutions for all of your labeling needs. Showcase your brand with these versatile wraparound labels. Their water-resistant material and permanent adhesive make them perfect for branding water bottles. They're also ideal for use on products, packaging, marketing materials and more to make your brand or logo really stand out in the crowd. They stick to glass, plastic, paper and other materials, so you can put your mark on nearly any product. 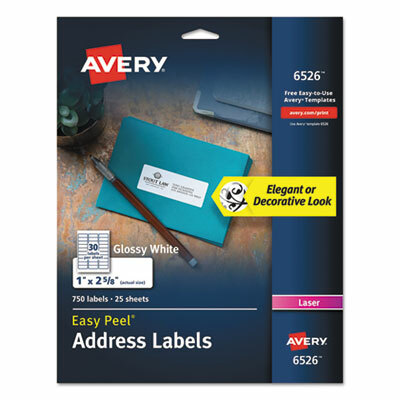 Our Print-to-the-Edge feature lets you add a full-color background and with free templates from Avery� Design & Print, you can easily customize the labels with your branding in mind. 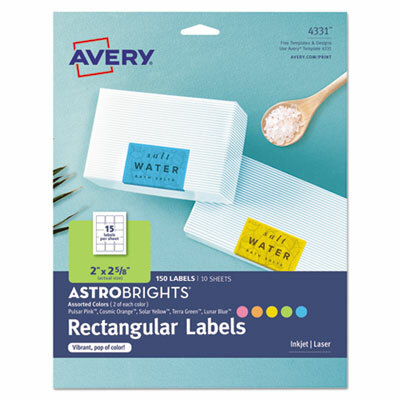 Brand your business with these unique labels. Print-to-the-Edge of the label for a custom look. Label Size - text: 3 1/4 x 7 3/4; Label Color(s): White; Machine Compatibility: Inkjet Printers; Laser Printers; Catalog Description: Product & Container Labeling. 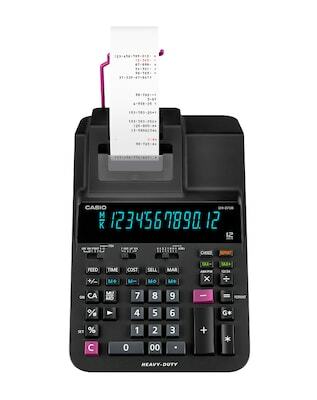 This heavy duty printing calculator prints 4.8 lines per second 2-Color printing Cost/Sell/Margin functionality. Reprint allows you to print multiple copies. Clock and Calendar function prints time and date. Change Key functions like a cash register. This item cannot be shipped to APO/FPO addresses. Please accept our apologies. Create and print custom labels directly from your smartphone or tablet with the DYMO MobileLabeler label maker. 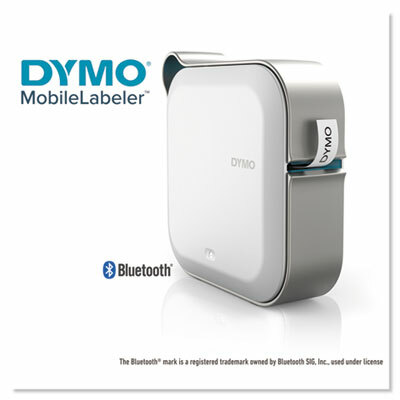 Connecting seamlessly to the label maker via Bluetooth and synchronizing with the free DYMO Connect mobile app, you can quickly start making labels. Compatible with iOS and Android, the app is loaded with time-saving features like spellcheck and voice to text. The app also makes it easy to customize labels, using borders and styles as well as popular Google and Apple fonts. 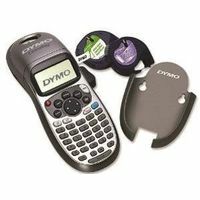 This DYMO labeler can even utilize DYMO Label software to work with Mac OS and Windows systems. The rechargeable battery increases portability while the automatic label cutter saves you time. Connect, create, then print with the DYMO smart label maker. Label Maker Type: PC-Connectable; Prints Barcodes: Yes; Prints Postage: No; Power Source(s): Adapter Power Cable (Included). Waterproof and resistant to chemicals, abrasion, sun, tearing, and harsh temperatures. High-performance adhesive. Ideal for labeling drums, totes, pails, jugs and bottles. Easy Peel� for fast peeling. Letter-sized, 8 1/2 x 11 sheets. 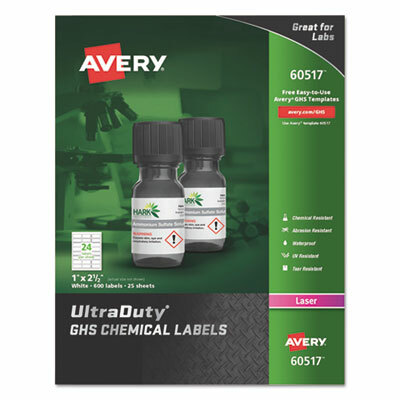 Label Size - text: 1 x 2 1/2; Label Color(s): White; Machine Compatibility: Pigment-Based Inkjet Printers; Catalog Description: GHS Chemical. Label shelving units, racks and more with ease and efficiency. Magnetic clear plastic holders stick to virtually any clean, flat surface. Relabeling is simple, just slide in new white paper insert (included). Can be cut to any size. Color(s): Clear; Size: 1" x 6"; Load Style: Side; Material(s): Plastic. Waterproof and resistant to chemicals, abrasion, sun, tearing, and harsh temperatures. High-performance adhesive. Ideal for labeling drums, totes, pails, jugs and bottles. Easy Peel� for fast peeling. Letter-sized, 8 1/2 x 11 sheets. Label Size - text: 1 x 2 1/2; Label Color(s): White; Machine Compatibility: Laser Printers; Catalog Description: GHS Chemical. 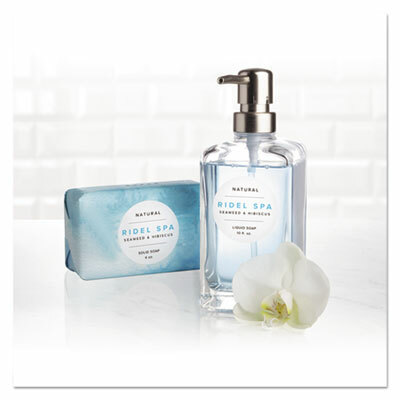 High-gloss clear labels provide a premium, custom-printed look. Ideal for bright colored surfaces. 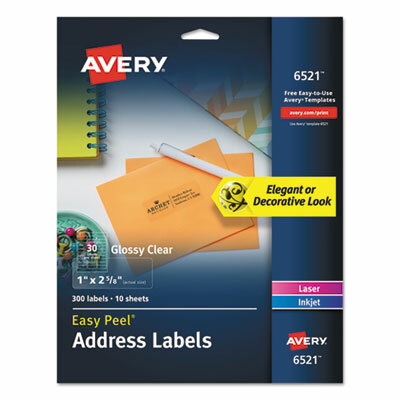 Easy Peel� label sheets bend to expose Pop-Up Edge� for fast peeling. Easy to customize with free templates and designs at Avery Design & Print. Permanent labels are guaranteed to stick and stay. 8 1/2" x 11" sheets for laser and inkjet printers. Label Size - text: 1 x 2 5/8; Label Color(s): Clear; Machine Compatibility: Inkjet Printers; Laser Printers; Catalog Description: Address Labels. A glossy finish provides a premium, custom printed look. Perfect for special occasions and events. Bend the unique Easy Peel� label sheet to expose the Pop-Up Edge� for fast peeling. Easy to customize with free templates and designs from Avery� Design & Print. Permanent adhesive is guaranteed to stick and stay. Sheets are compatible with laser printers. Label Size - text: 2/3 x 1 3/4; Label Color(s): White; Machine Compatibility: Laser Printers; Catalog Description: Address Labels. Label shelving units, racks and more with ease and efficiency. 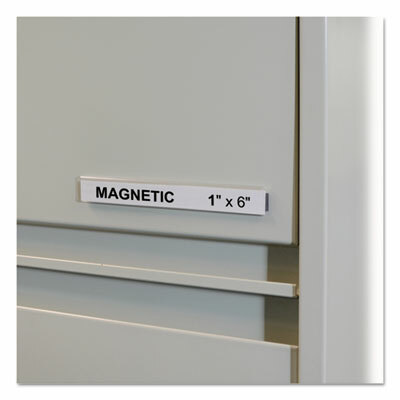 Magnetic clear plastic holders stick to virtually any clean, flat surface. Relabeling is simple, just slide in new white paper insert (included). Can be cut to any size. Color(s): Clear; Size: 2" x 6"; Load Style: Side; Material(s): Plastic. 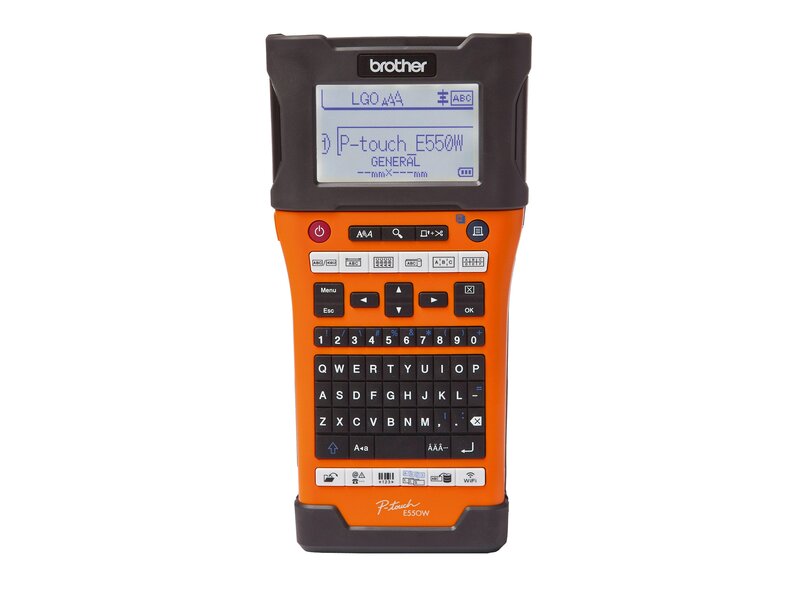 LetraTag� Plus label maker is a handheld printer intended for both home and office use. Due to a compact design, it is easy to carry around. With the option of using four AA batteries (SOLD SEPARATELY), making labels on the go could not be more simple. This label printer has a built-in port for plugging in an AC adapter if long periods of use are desired. The ABC keyboard makes typing easy, and thermal printing creates smooth, sleek labels. Easy-to-use "ABC" style keyboard. 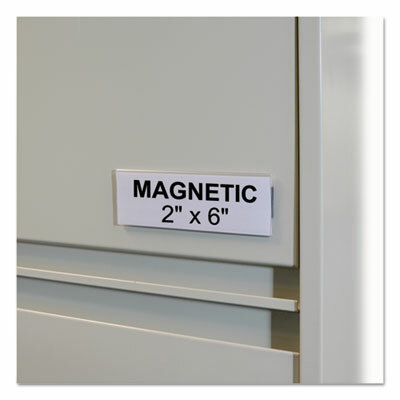 Includes mountable magnetic holder that conveniently mounts to file cabinet, refrigerator or magnetic whiteboard. Machine Width: 3 1/10"; Machine Depth: 2 3/5"; Machine Height: 8 3/10"; Power Source(s): 4 AA Batteries (SOLD SEPARATELY); AC Adapter (SOLD SEPARATELY). 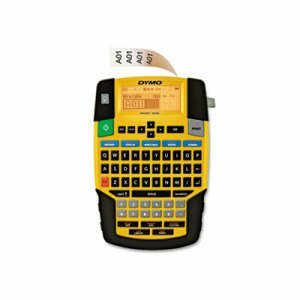 On-the-job labeling is a breeze with the Rhino 4200, when used in conjunction with DYMO� label maker tape. Complete with a QWERTY keyboard, it provides accurate labeling options. Easily create shortcuts to expedite the labeling process, or make use of the custom key to save frequently used settings. This labeling tool is pre-programmed with up to 150 symbols and terms related to industry needs, and the large backlit display provides readability in low-light situations. Ultra-fast printing makes it perfectly suited to hectic work environments, and the sturdy construction helps prevent damage when out on the job. Machine Width: 4 3/50"; Machine Depth: 8 23/50"; Machine Height: 2 6/25"; Power Source(s): 6 AA Batteries (SOLD SEPARATELY). 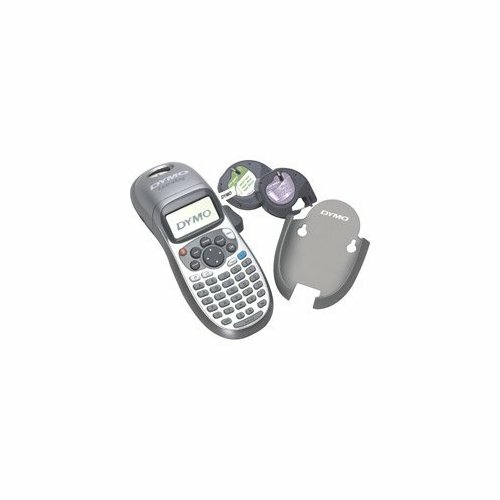 Organizer Xpress Pro� embossing label maker is built to work efficiently in home and office environments. 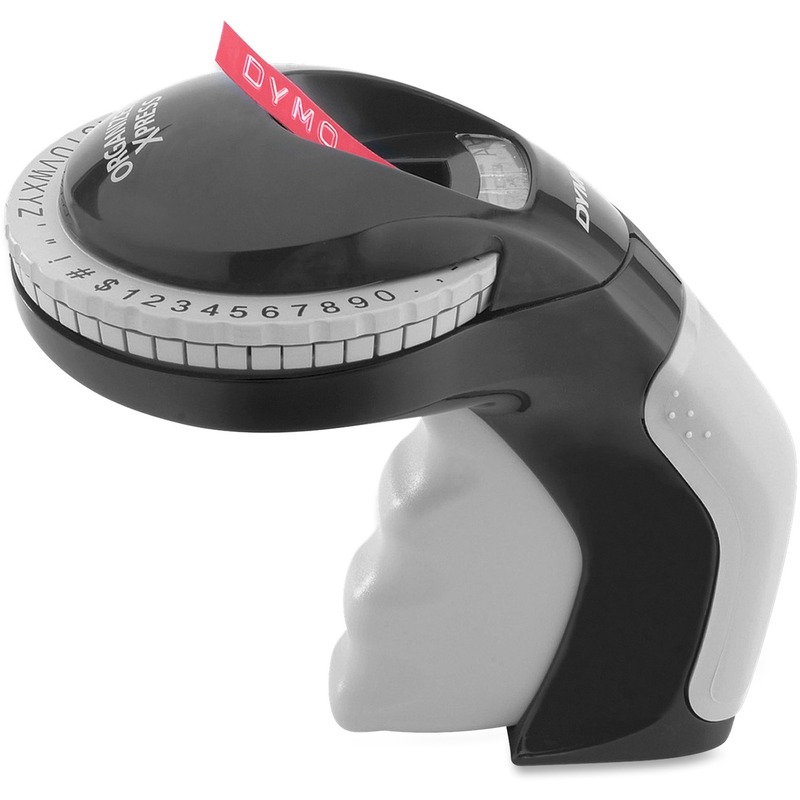 This versatile embossing label maker gives you high performance and maximum convenience at an affordable price. The kit contains three starter tape cassettes in black, blue, and red for your choice of vivid professional-quality colors. 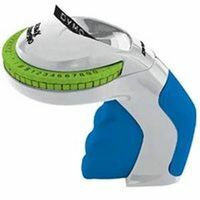 The ergonomic Soft-Grip handle makes labeling easy and comfortable. An intuitive "turn and click" system produces quick results. The built-in tape cutter gives you neatly cut labels with minimum effort. No batteries are needed to operate this classic mechanical embosser. Machine Width: 3 1/10"; Machine Depth: 8 3/10"; Machine Height: 2 3/5"; Tape Size: 3/8". High-gloss clear labels provide a premium, custom-printed look. Ideal for bright colored surfaces. 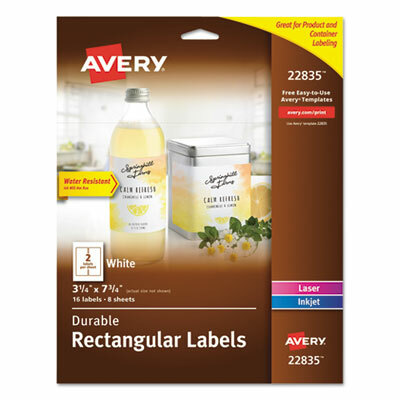 Easy Peel� label sheets bend to expose Pop-Up Edge� for fast peeling. Easy to customize with free templates and designs at Avery Design & Print. Permanent labels are guaranteed to stick and stay. 8 1/2" x 11" sheets for laser and inkjet printers. 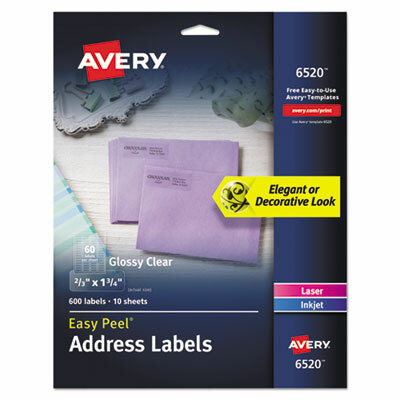 Label Size - text: 2/3 x 1 3/4; Label Color(s): Clear; Machine Compatibility: Inkjet Printers; Laser Printers; Catalog Description: Address Labels.